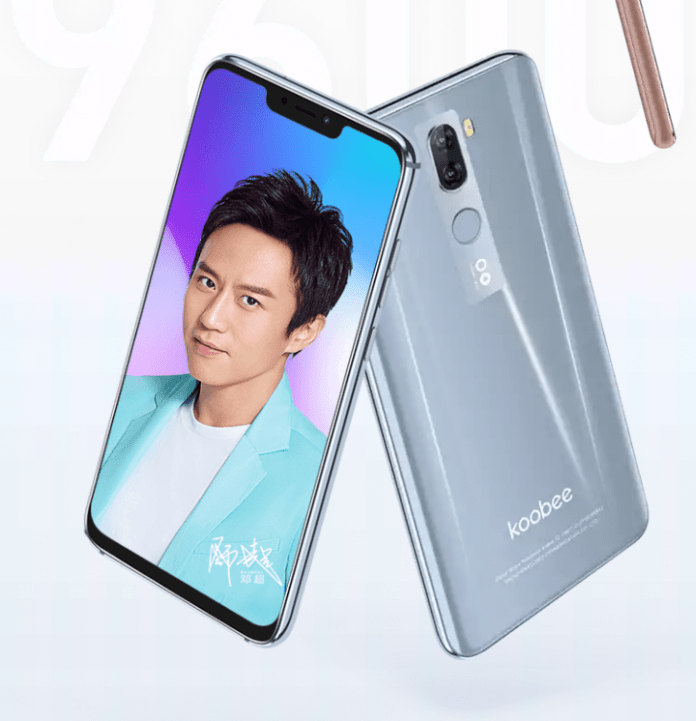 Koobee F2 Plus was unveiled in China as the enhanced version of the Koobee F2. The Plus version sports the trending notched screen with naked-eye 3D technology. This will let you watch 3D videos and play 3D games as well. Internally, the 3D built-in apps are still present, you still get the ‘3D stuff’, ‘3D media’, ‘Z+ games’, and ‘3D camera’. There’s now 6GB of RAM for heavy multitasking and 128GB storage space. Want to know more? Stay with me. 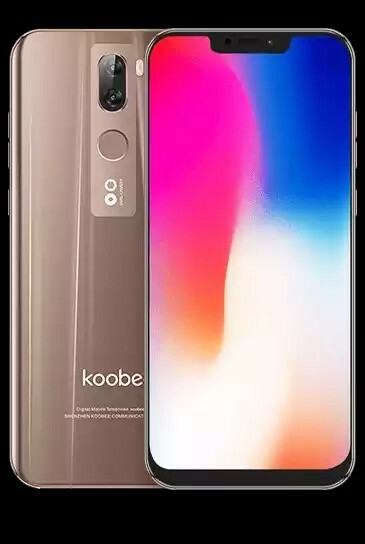 What is Koobee F2 Plus Price and Availability Status? The F2 Plus sports an aluminium alloy overall unibody that reflects light in the most subtle way. Just like the F2, the sleek body is one of its highlights here, looking absolutely gorgeous. 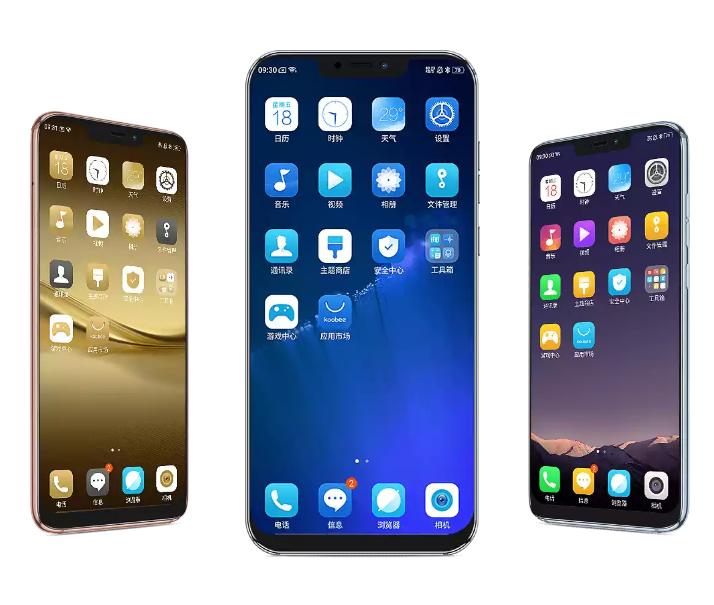 The dual rear camera are still at the top middle, but now very much closer. Beside the cameras is the LED flash for night shoots, while the fingerprint scanner comes underneath. It measures 7.9mm in thickness when you turn to the sides, we can also see the power buttons, volume keys and SIM tray. Koobee F2 Plus weighs just 168g and available in Mocha Gold and Seagull Grey. 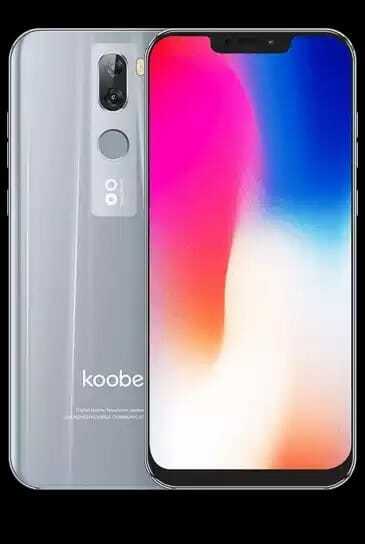 This is the first Koobee smartphone to come with the notched screen, which has been quite a trend in the smartphone world. The screen is absolutely stunning with no narrow bezels in sight. However, it comes with a bottom chin, but that shouldn’t distract you from the beautiful screen. It’s built around a tall 6.2-inch FHD+ IPS LCD capacitive touchscreen. 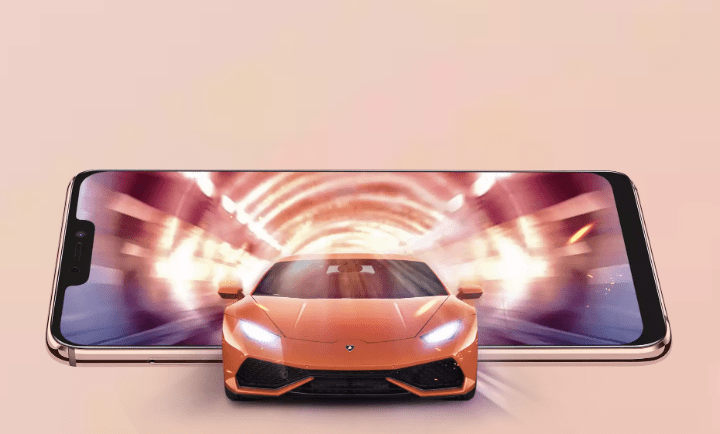 This has a resolution of 1080 x 2160 pixels and 402 pixel per inch density, it boasts of 3D – Parallax Barrier as well, displaying 3D games and visuals. Impressively, the screen stretches up to 80% screen-to-body ratio as well. The main power behind the device is the MediaTek Helio P23 MT6763WT, it was built on a 16nm process technology and 64-bit CPU architecture. The 8-Cores of processor present here clocks at a fast pace of 2.5GHz, with the ARM Mali-G71 MP2 being in charge of graphics. For multitasking, there’s a massive 6GB of RAM available, this should be more than enough to handle those heavy apps. You also get a massive 128GB storage space as well, if that isn’t enough, easily upgrade up to 256GB with a memory card. It runs on Android 7.1 Nougat operating system with Dido 8.0 UI. The dual 16MP + 16MP shooters at the back boasts of f/2.0 aperture lens respectively. The Sony IMX499 sensors comes with dual color temperature LED flash, and ArcSoft top imaging technology, to give you an absolutely pleasant photography experience. 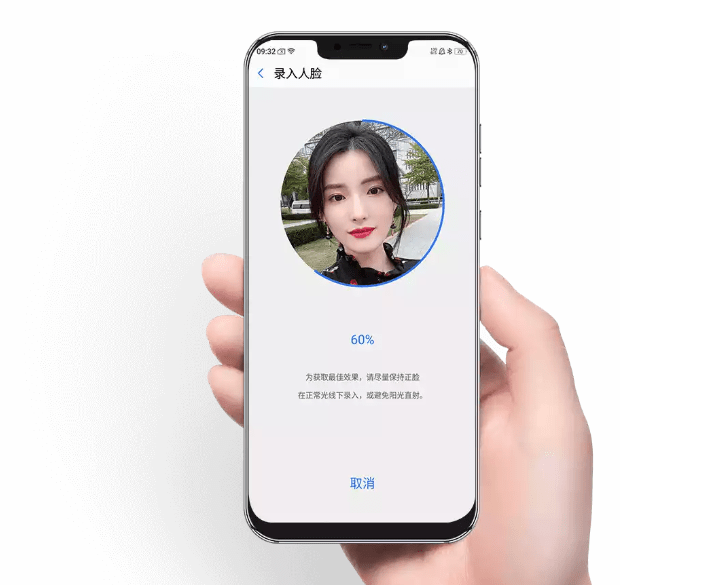 There’s another 16MP selfie camera on the notch which uses AI technology for the best selfies, it supports Face ID as well. Powering the Koobee F2 Plus is a 3300mAh non-removable Li-Po battery with fast charging technology. With the fast charging feature, charging the battery from 0% to 100% shouldn’t take up to 2 hours. The Koobee F2 Plus is available on Shopping stores, starting from $299 (N100,000) to $349 (N120,000). 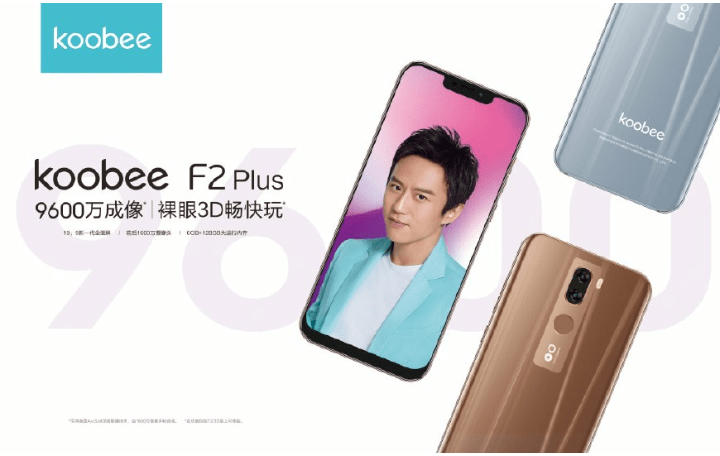 Click on the links above to view the latest Koobee F2 Plus price & availability on Shopping stores. 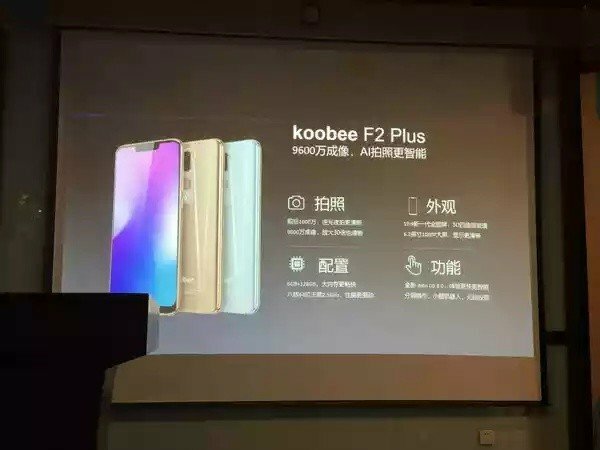 Koobee F2 Plus was unveiled in China as the enhanced version of the Koobee F2. The Plus version sports the trending notched screen with naked-eye 3D technology. This will let you watch 3D videos and play 3D games as well. Internally, the 3D built-in apps are still present, you still get the ‘3D stuff’, ‘3D media’, ‘Z+ games’, and ‘3D camera’. There's now 6GB of RAM for heavy multitasking and 128GB storage space.